HAVE A MINECRAFT BIRTHDAY PARTY AT YOUR HOUSE NOT IN IT! For those of us who have kids we all know how popular Minecraft is. Between books and watching Youtube videos they’re obsessed! So why don’t you treat them to a Minecraft Birthday Party they will never forget!! With 5 large HD TVs and 5 copies of the most popular game on the planet our Mobile Game Truck allows up to 20 gamers at once! Wouldn’t it be nice to relax in the confines of your own home while the kids are outside playing in the best video game party truck in Pittsburgh? The parents usually have the kids show up an hour or so before we arrive. They serve the kids Pizza and Cake then we make our grand arrival. It usually takes us 15 to 20 minutes to set up and then you’re done!! Parents are more than welcome to participate or can kick back and relax. After the kids have the best birthday party experience of a life time their parents come pick them up. Its that simple, NO CLEAN-UP NO SET-UP makes celebrating your childs party with Steel City Gamerz a breeze! Now of course the kids can choose from over 100 game titles in our video game library. We have everything from Super Mario Bros, Madden 15, Call of Duty, Mario Kart 8 just to name a few! Our Mobile Game Truck Party just isn’t for kids either. We have done adult Birthdays, Bachelor parties, neighborhood block parties, Fairs, festivals and more! 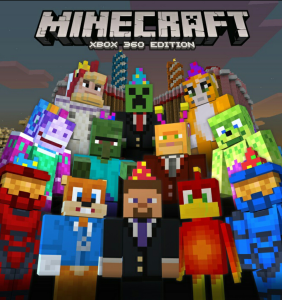 For more information simply fill out the contact form and we will respond immediately or you can send us a email to steelcitymobilegamerz@gmail.com Looking forward to hosting your next Minecraft birthday party extravaganza! !